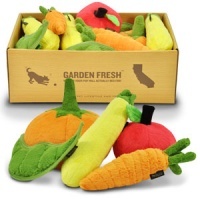 This item is made to order and usually dispatched within 5 working days. This item or combination is not available. 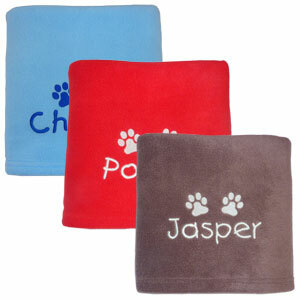 These soft fleece dog blankets are beautifully embroidered with your pet's name and feature two embroidered paw prints. 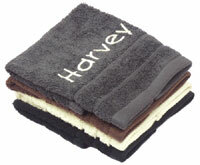 Available in a lovely range of colour combinations. Choose the colour of the fleece and the colour of the embroidery. 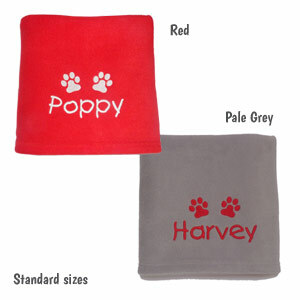 These blankets make a lovely gift for your pooch or a dog loving friend. Each blanket is individually embroidered with the pet's name. The personalisation can have up to 10 characters. 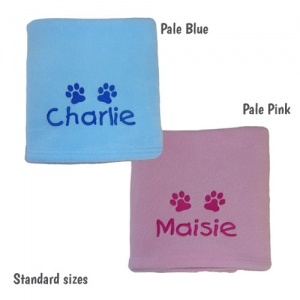 Available in a standard size (all colours) or a larger size (in chocolate or grey). The larger size is perfect for big dogs or can also be used as a throw at home for the settee, bed or even a caravan or motor home. Hemmed all the way round with a double row of stitching. Standard blankets are embroidered straight, centred on the bottom edge and large blankets are embroidered diagonally across one corner. Really pleased with this blanket. 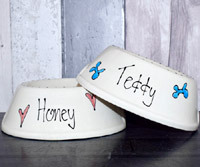 So soft and beautifully embroidered with dogs name. Also came very quickly. Great product and service. 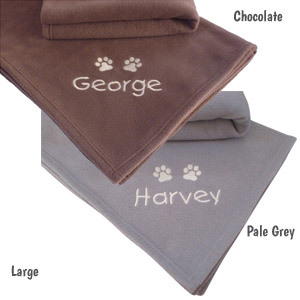 Bought a blanket and had it personalised with the dogs name on it as a present for my pups siblings for their 1st birthday. I was so pleased with it and the owners thought it was gorgeous. It made a lovely present and something special they can keep. Perfect size for my Jack Russell, stitching is great quality and it looks lovely in her spot on the couch. Soft and cosy! Embroidery was lovely! I bought the pink fabric with pink stitching for my puppy. 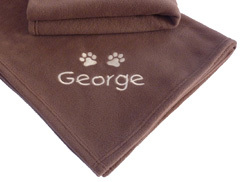 The fleece is lovely and soft, the embroidery is incredibly well done, and the paw prints are adorable. My puppy loves it! 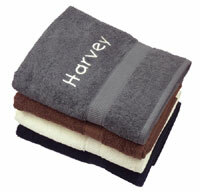 A lovely blanket, beautifully embroidered, good quality. Very pleased with this and my dog is too. Purchased two of these blankets for our puppy. 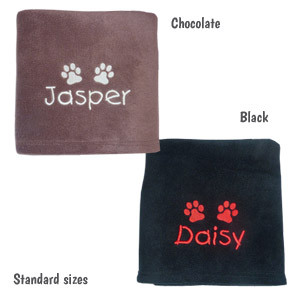 They are really good quality, they wash great and the name of your beloved pet on the blanket adds that personal touch.